If you ask most homeowners what their number one complaint is about their current home, it’s that they don’t have enough storage. 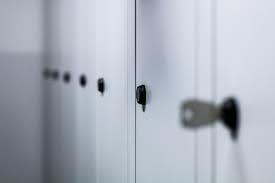 Storage for everyday items as well as storage for items that are not used often is a huge problem for families. It’s a big enough problem that some families even start to think about moving just to find a home that has more storage. But, the problem isn’t the home that you have. The problem is that you’re not using the right storage solutions to keep your home tidy and organized. 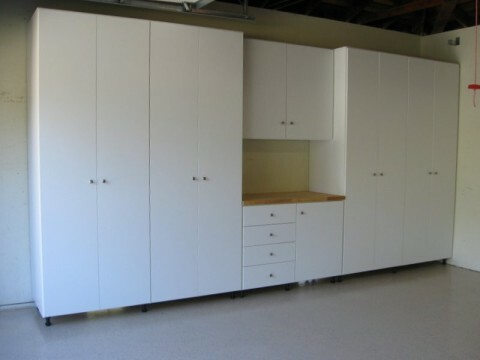 The best way to turn the space you need into the storage that you want is to get custom garage storage systems. A custom garage storage system that is built to fit your exact home is the perfect way to create the storage that you need while staying in the home that you love. A well-organized storage area is absolutely necessary for a DIY fan or home craftsperson. With a custom-built storage solution, you can have the right amount of storage for your tools, nuts, screws, small items, paint and other items. With storage options that are designed for exactly the items that you have, you will be able to keep all your equipment organized and easy to find. You can even have custom storage with built-in cubbies and compartments that allow space for charging stations and cords so that you can charge your equipment while keeping it safely out of the way. And if you have a small garage, a custom storage system will make the best use of the space that you have. 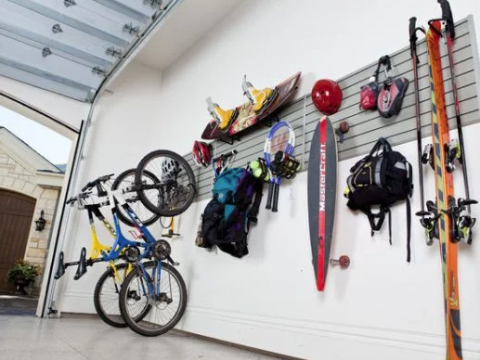 Tired of skates, balls, hockey equipment, bats, skis and other equipment cluttering up your space? Custom built racks and other storage ideas will hold all your family’s sports equipment and keep it safe so that it’s always ready to go. Even large items like kayaks can be stored safely and in an organized way with a custom storage system. Having a custom storage system built for toys and equipment will also give you a place to store seasonal equipment when it’s not being used so that it’s easy to find again when you need it. No more digging for tennis rackets in the summer or ski poles in the winter. Custom storage can accommodate toys and equipment that your family loves so that it doesn’t end up taking over the garage. Plus giving your children the tools to stay organized should make your lives easier too. If you have a home craft business or love to make crafts and projects at home, you know that your supply cupboard can get quickly overfilled. But, custom storage systems designed specifically for art, craft, and DIY supplies will keep even the tiniest items well organized and keep them from getting underfoot or spread all over the house. Built-in containers for items like thread, beads, and other small items will make it easy to find exactly what you need. Specially made shelves will keep all your scrapbooking paper clean and smooth until you need it. And custom-built fabric shelving will make sure that your fabrics stay clean and wrinkle-free. Sewing machines, paper cutters, and cartridges for paper and vinyl cutters can all be safely stored in the garage if you have the right custom storage system. Are you tired of digging through piles of torn cardboard boxes every year to find the Christmas tree and lights in the winter or the patio furniture in the spring? Built-in storage cupboards can hold those large items and keep them out of the way but organized. Custom racks can hold lights without them tangling. And you can even store household items like large steam cleaners for carpets, mops, and buckets, and other items that you don’t have room for in kitchen or utility room. Good quality custom storage systems aren’t as expensive as you might think. And they are a great investment in your home. If you ever do want to sell your home having a custom-built storage system is a great selling feature because home buyers are always looking for homes that have great storage. If you are fed up with trying to get organized when your home doesn’t have the right storage to make organization easy you need a custom-built garage storage system that is designed for your home and for your family. The right storage will change the way that you live.